Figure 1-3. Wheels Properly Chocked. 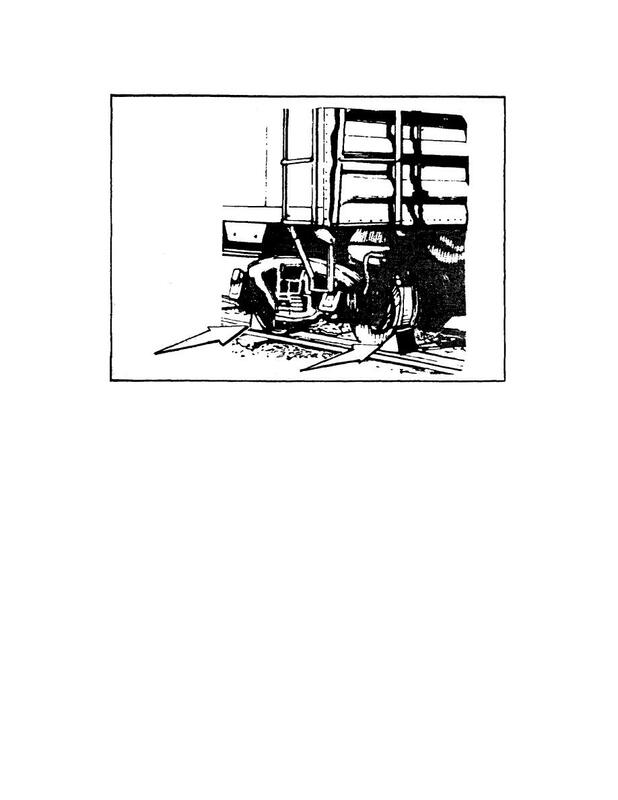 Home > Munitions Reference and Training Manuals > > Figure 1-3. Wheels Properly Chocked. Figure 1-4. Railcar Roof with Running Board. UNSAT entry on the inspection report. be used. Report unsafe conditions by checking the UNSAT column. are covered or removed) record them in the Remarks section. corrected or the car must be rejected. See figure 1-4.
do not operate properly, it is an unsatisfactory condition. The doors must be repaired or the car must be rejected.